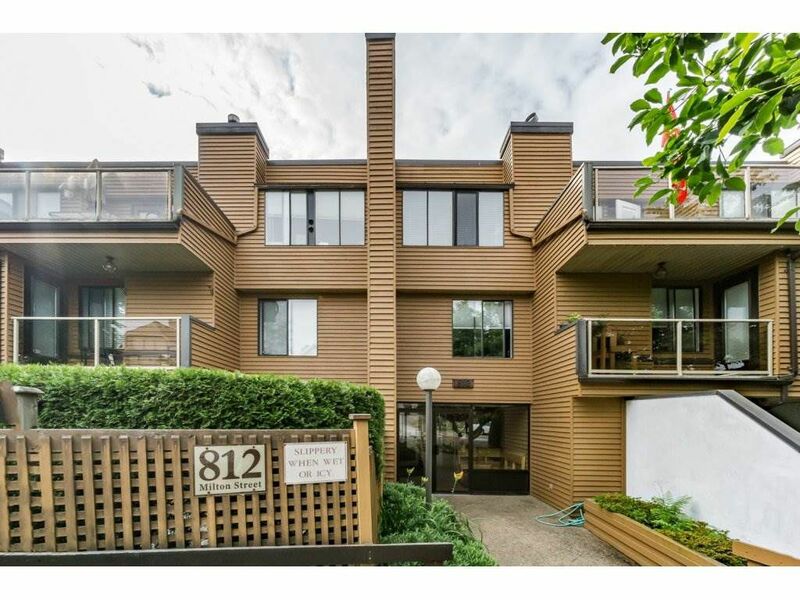 Updated 2 bedroom condo w/ insuite laundry conveniently located in uptown New West. Updated white kitchen w/ new cabinets, quartz counters, stylish backsplash, undermount sink & new fridge. Bathroom features new vanity, quartz counters, new tub & toilet. Large master bedroom w/ custom designed walk in closet. Quality laminate floors. Gas fireplace in living room & new window coverings. Upgrades to the building include new decks, hallways, pipes, exterior & interior painted, carpets & roof in 2010. 2 dogs/cats & rentals allowed, 1 parking & locker. Walk score of 89! Near bus routes, New West skytrain, new Middle School opening in September & downtown New West's restaurants, pubs & grocery stores.